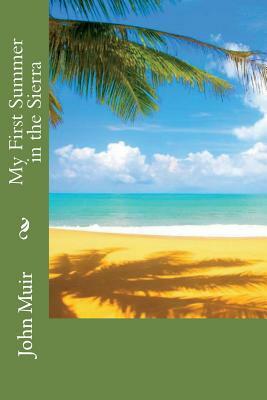 My First Summer in the Sierra by John Muir The pack-animals were led by Don Quixote, a heavy rifle over his shoulder intended for bears and wolves. This day has been as hot and dusty as the first, leading over gently sloping brown hills, with mostly the same vegetation, excepting the strange-looking Sabine pine (Pinus Sabiniana), which here forms small groves or is scattered among the blue oaks. The trunk divides at a height of fifteen or twenty feet into two or more stems, outleaning or nearly upright, with many straggling branches and long gray needles, casting but little shade. In We are delighted to publish this classic book as part of our extensive Classic Library collection. Many of the books in our collection have been out of print for decades, and therefore have not been accessible to the general public. The aim of our publishing program is to facilitate rapid access to this vast reservoir of literature, and our view is that this is a significant literary work, which deserves to be brought back into print after many decades. The contents of the vast majority of titles in the Classic Library have been scanned from the original works. To ensure a high quality product, each title has been meticulously hand curated by our staff. Our philosophy has been guided by a desire to provide the reader with a book that is as close as possible to ownership of the original work. We hope that you will enjoy this wonderful classic work, and that for you it becomes an enriching experience.